WCVE is launching our new ALL NEWS - ALL MUSIC stations. Join us as we celebrate a new era of WCVE programming! Time: VIP Reception 5:30 p.m. - 6:30 p.m. | Doors open at 6:30 p.m. | Program 7:00 p.m. - 10:00 p.m.
Use one of the numerous parking options close to the Hippodrome or opt to use either UBER or Lyft. Discover more about the historic Hippodrome theater HERE. WCVE invites you to join us for a party! 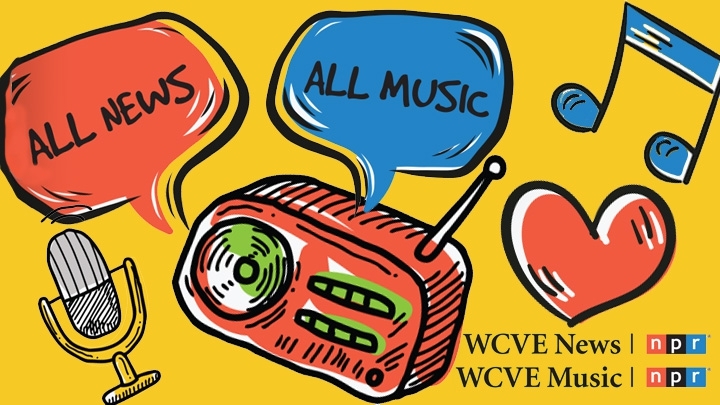 After 30 years of service to this community, we are celebrating the launch of WCVE News and WCVE Music on the evening of Friday, June 1 at the Hippodrome. Kick off the evening with longtime NPR news host Robert Siegel and be there to toast the occasion with many of your favorite local news and music hosts as we go live for the first time that evening. Be the first to learn about what programming you can expect on the the All news and All music stations. Don’t miss this once-in-a-lifetime event on June 1-- tailor-made for the WCVE Super Fan!